There were too many photos to fit into yesterday’s entry about my visit to Bellingrath Gardens, so I’ll finish up today. 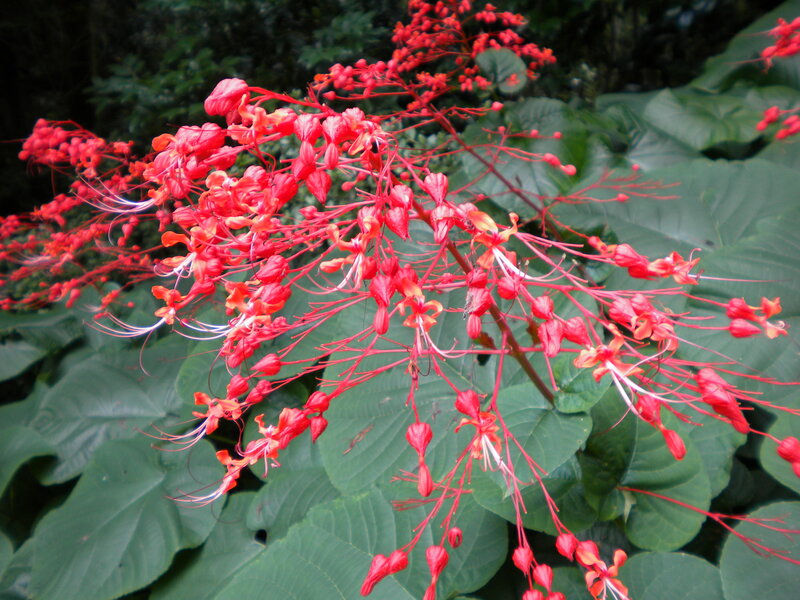 I was asked to identify a few plants yesterday, and unfortunately the garden does not provide labels, so I’ll identify those that I can, and the others will remain anonymous. 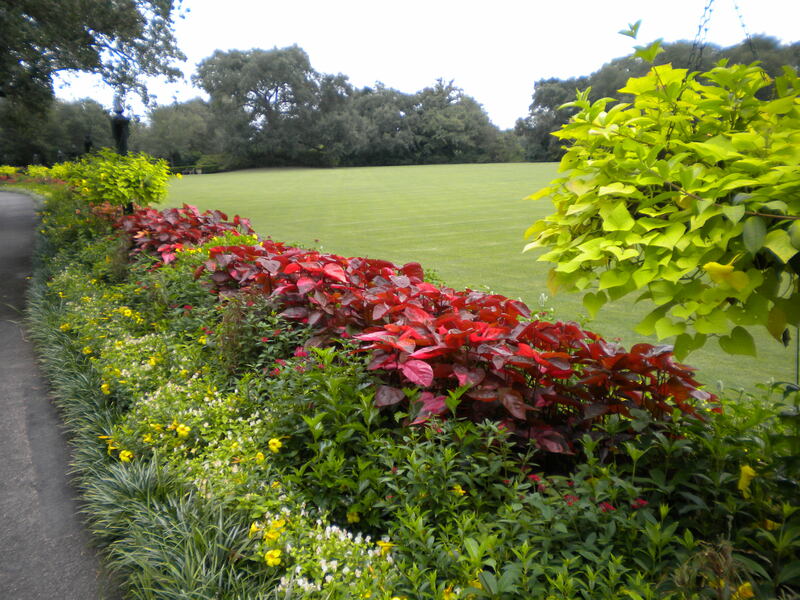 First, a photo of the main path (above) that borders the Great Lawn, planted with coleus, alamanda, lantana, liriope, and other annuals. 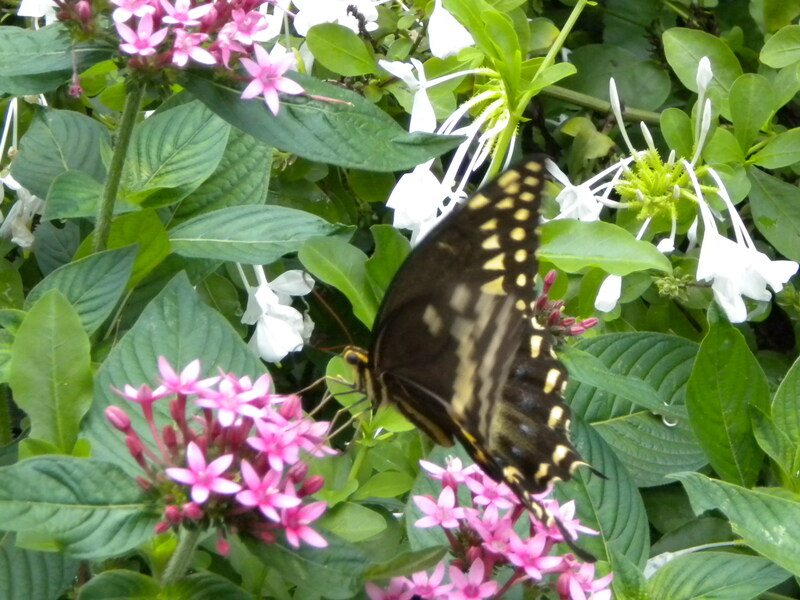 Shy butterflies (below) darted to and fro, feasting on nectar of the lantanas and pentas tucked in the flowering border. One remained still enough for a moment to capture its photo. 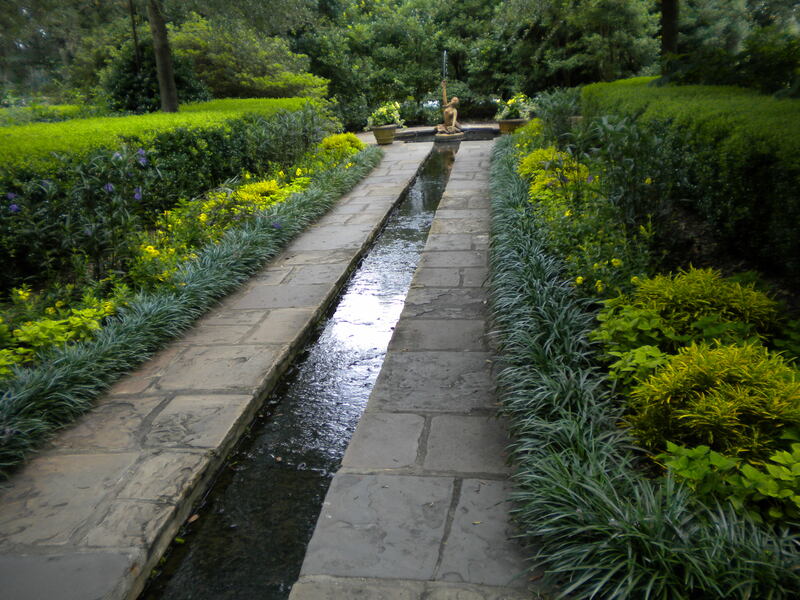 The formal water feature (below) near the Bellingrath house is bordered by a hedge of Japanese holly, oleander, liriope, alamanda, coleus, and a variety of other annual flowers. 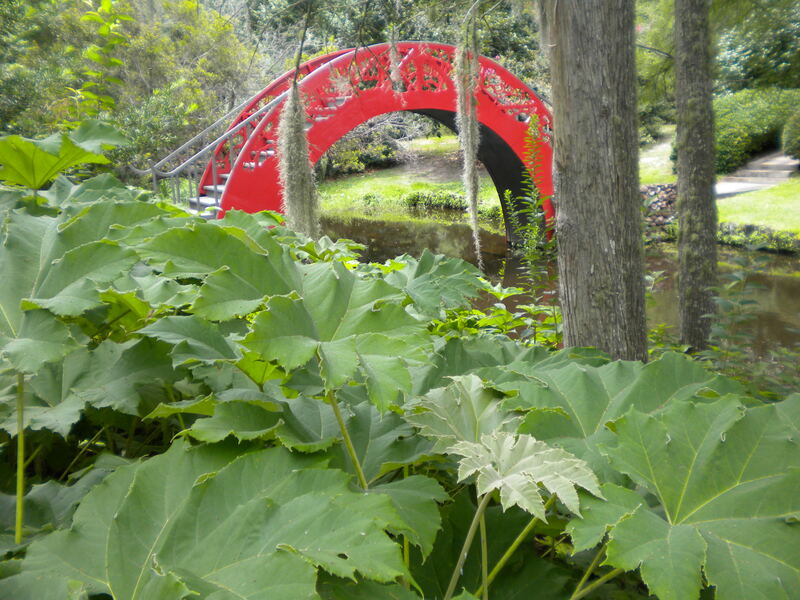 Seemingly wild plantings of bamboo, bananas, gingers, and rice paper plant (Tetrapanax, below) border the dark ponds of the Japanese garden, yet the fast spreading plants have been tamed to maintain clear vistas of the ponds and structures, and the arched bridge. 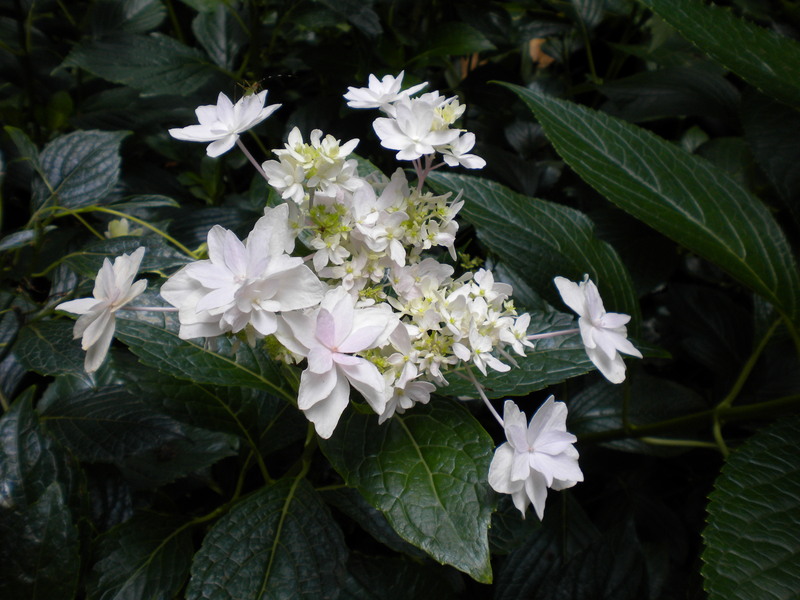 Live oaks and evergreen magnolias line the paths through the gardens, and hedges of spring blooming azaleas and camellias are surely a magnificent sight in the early spring, but through the summer annual and perennial flowers provide a riot of color. 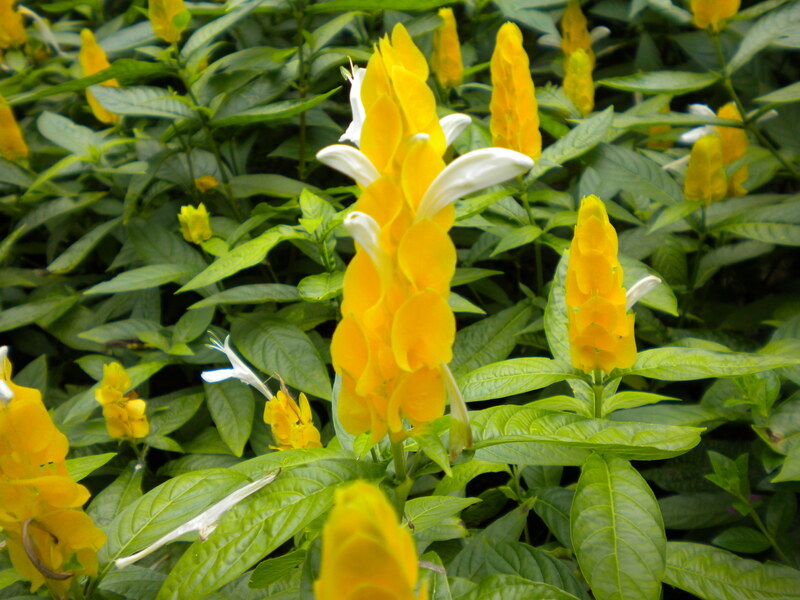 Small groupings of Golden Shrimp Plant (above) and Spiral Ginger (below) are woven through the borders. 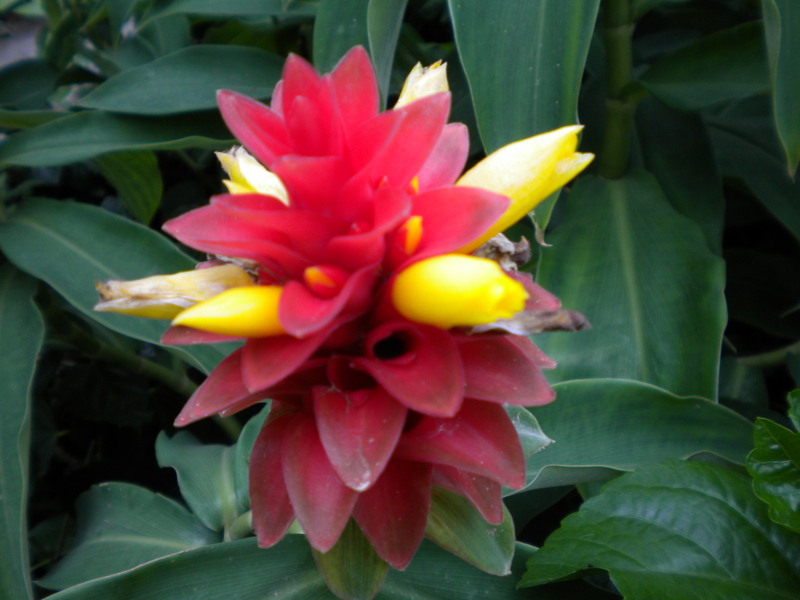 Both have unusual and beautiful blooms. 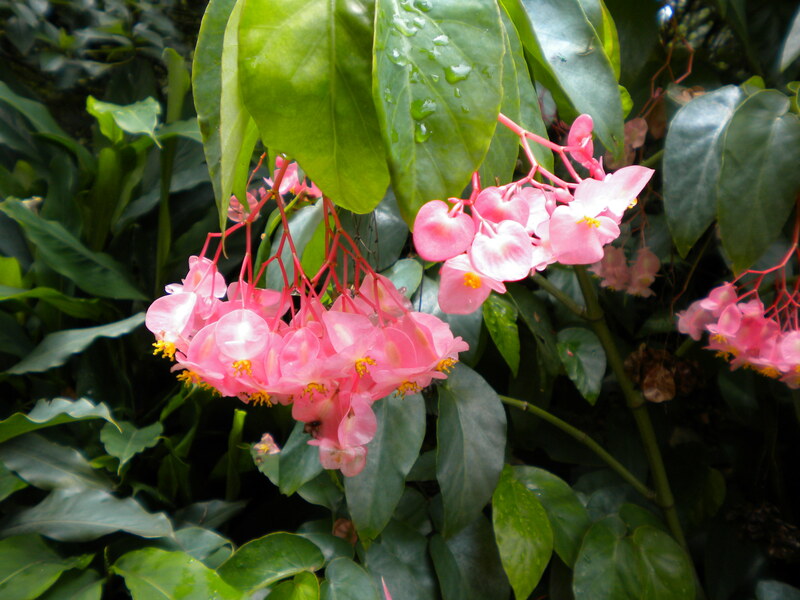 Passionflower vine (Passiflora, above) grows rampant over an arbor in one of the small gardens to the side of the main path, and in another a large begonia (below) with delightful pink blooms. Tropical hibiscus (above) and alamanda (below) appear occasionally through the garden, and there are a number of other bloomers that follow below that I cannot identify, but are lovely nonetheless. 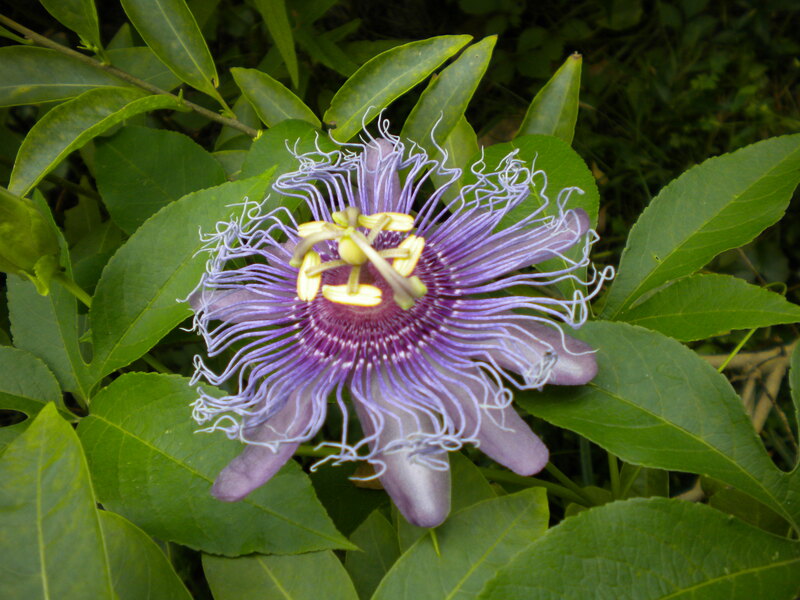 Beautiful plants and photos. I think the 3rd pic from the bottom has to be a yellow mandevilla which I didn’t know even existed. Dave would it be OK if I tried to get an ID on some of these at DavesGarden? You wiil receive credit for the photos, of course. 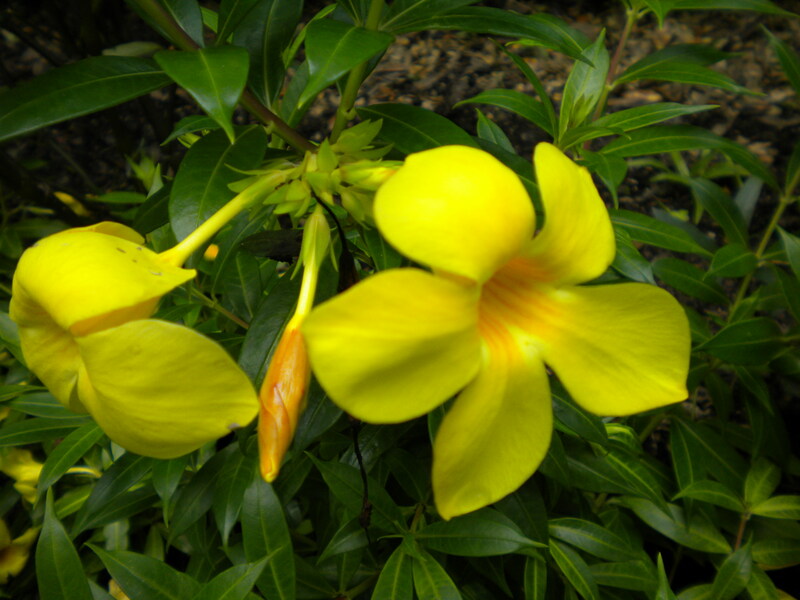 Mandevilla is a very similar bloom, but not yellow. 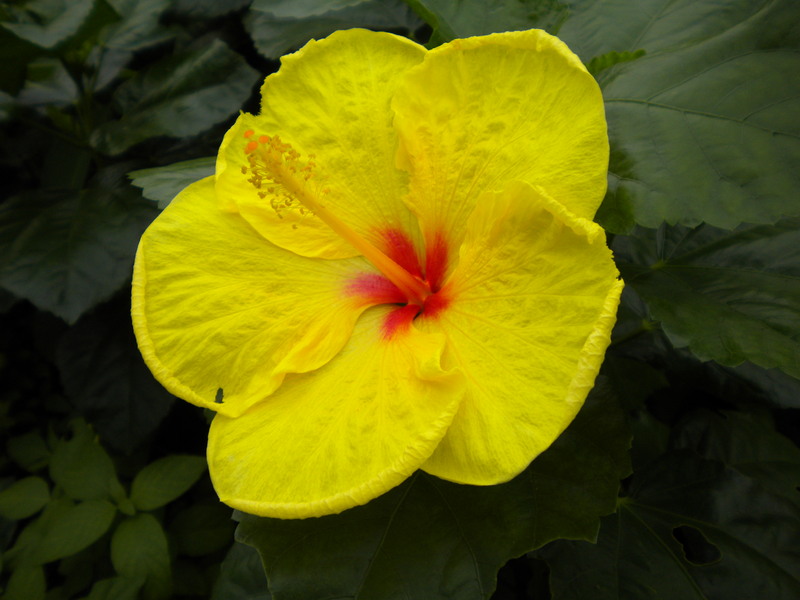 Alamanda is a common tropical, and of course, yellow. I’m not familiar with the other two, so I’d appreciate any help. Thanks. I captured some of the photos for future design ideas!